Timothy David Paine (born 8 December 1984) is an Australian cricketer who plays for the Tasmanian Tigers in Australian domestic cricket and for the University of Tasmania Cricket Club in club cricket. He is a right-handed batsman and wicket-keeper, as well as a right arm bowler at junior level. A product of the Australian Cricket Academy, Paine became the youngest-ever contracted player in Australia, when he received a rookie contract with Tasmania at 16 years of age. He made both his First-class and one-day debuts for Tasmania in 2005; scoring a one-day century later in the 2005–06 season, and a first-class hundred, 215, in the next. He was a part of the states maiden Sheffield Shield (then the Pura Cup) season victory that season and also their 2007–08 one-day winning side. Paine made his ODI debut for Australia as a replacement for regular wicket-keeper Brad Haddin in 2009 against England, and in the series sixth match, he scored his maiden international century. A further injury to Haddin in 2010 paved the way for Paines Test debut against Pakistan in England. Soon after, he played in another two Tests against India, before Haddins recovery for the 2010–11 Ashes series. Since that time, he has not been a regular in the Australian cricket side playing his last international in April 2011. 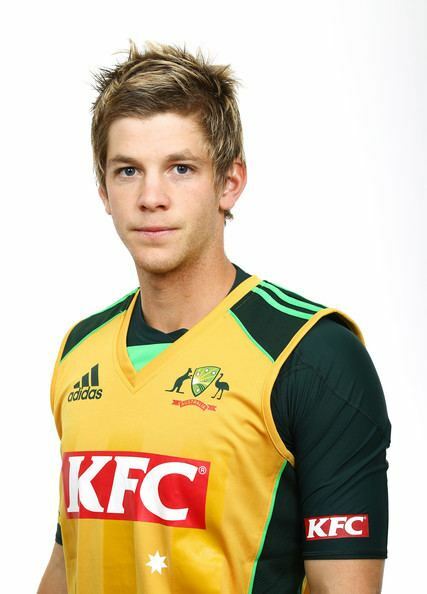 Paine captained Tasmania at Under–15 and Under–17 level, along with being a member of its Under–19 team at the age of just fifteen. He was vice-captain of the Australian Under–17, before scoring a first grade century for the University club in Hobart. "He was always the smallest one playing cricket," Paines father John said. "We lived in a fairly quiet street and we lived right next to the beach [in the suburb of Lauderdale] so they used to play a fair bit of beach cricket. We used to have a cricket pitch in our backyard which was the driveway and the next-door neighbours had a turf wicket which the boys used to roll and mow and do all that sort of stuff. So he had to learn from an early age I suppose to be a bit stronger and a bit more competitive." As a junior, Paine was a talented Australian rules player—considered good enough to make the Australian Football League (AFL)—and his brother Nick, one of four siblings, plays in the Tasmanian Football League with the Clarence Football Club. Paines uncle, Robert Shaw, was an AFL player and coach. At 16, Paine became Australian domestic crickets youngest-ever contracted player when he received a basic A$10,000 rookie contract with Tasmania—an innovation in Australian cricket. After Cricket Australia allowed rookie contracts Paine said, "These new contracts are a great idea; Im pretty happy about them anyway! Its good to give young players something [along these lines] to show them that theyre in the back of the minds of the administrators and the coaches." In December 2003, he was announced captain of the Australian Under-19 team for the 2004 World Cup in Bangladesh, played in February and March 2004. Relieved of wicket-keeping duties, Paine scored 142 runs at an average of 23.66 and took two catches, along with taking seven wickets at an average of 22.28 in eight matches. However, Australia lost the Under-19 Plate Championship final to Bangladesh. 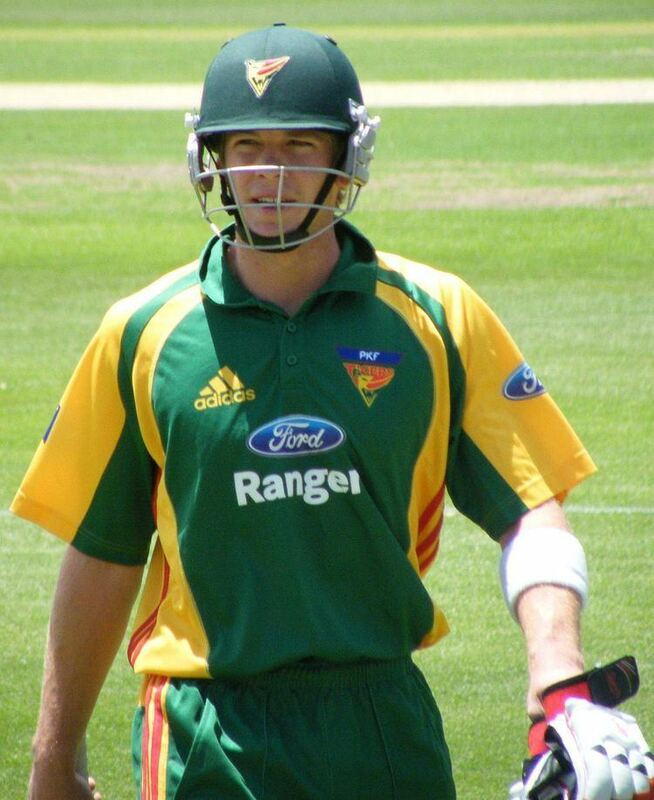 Paine made his Tasmanian debut as solely an opening batsman in November 2005, during an ING Cup one-day match against Western Australia in Perth, scoring 28 from 44 balls. His first-class debut came shortly after as an opener when Tasmania played South Australia in Hobart during December. Opening the batting, Paine scored a duck (zero) in the first innings and 17 in the second as the match was drawn. He made his maiden List A century in his first season, scoring 111 in the ING Cup. The following season his made his maiden first-class century with 215 against Western Australia in a Pura Cup match at Perth in October 2006. For the first part of his career he was Tasmanias second wicketkeeper, behind Sean Clingeleffer, particularly at first-class level, before taking Clingeleffers place permanently in late 2007. Paine played as an opening batsman in Tasmanias maiden Sheffield Shield season triumph in 2006–07, scoring zero and five. Despite his low scores in the final, Paine was Tasmanias highest run scorer in the one-day competition that season. He continued with one-day performances in the following season in which Tasmania won the Ford Ranger Cup, aggregating 261 runs and collecting 21 dismissals. 2008–09 saw Paine score 445 Sheffield Shield runs at 29.66 along with 42 dismissals. His growing maturity saw him become Tasmanian vice-captain ahead of the 2009–10 season. 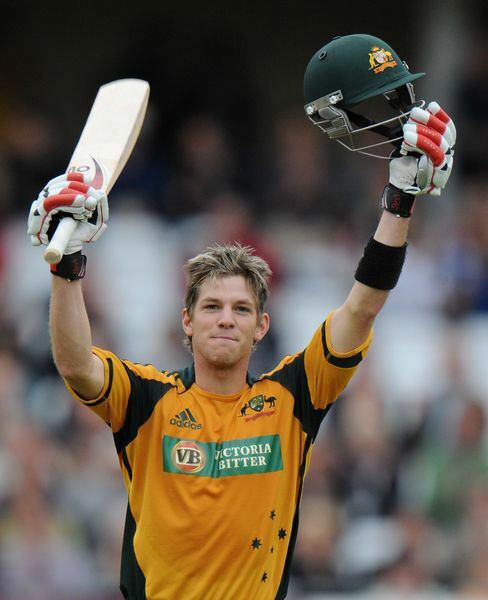 In early 2009, Paine was selected to play for Australia A against Pakistan A in a series of one-day and first-class matches. Playing at the Allan Border Field in Brisbane, Paine scored 134 off 136 balls in the third one-day match to secure a series win for the Australian A side. In 2009, Paine was selected for the national squad for the One Day International series against England, shortly after the conclusion of the Ashes Test series, when incumbent wicketkeeper Brad Haddin returned home for surgery on a broken finger. Paine made his ODI debut in a one-off match against Scotland, scoring 29 not out from 38 balls in Australias total of 345 all out. He then took a single catch, as they were eventual victors by 189 runs. Paine made his International Twenty20 (T20) debut against England in early September at Old Trafford, ahead of the upcoming seven match ODI series between the two teams. England were in trouble at 2/4 (two wickets for four runs), in reply to Australias 145, before rain caused the match to be abandoned. Paine was not required to bat, as he was listed to come in at the traditional wicket-keepers position of seven. The second and final T20 match of the short series was also abandoned without a ball being bowled. Paine played his second ODI in the first match of the following ODI series. Australia batted first, with Paine run out in the third over for a duck, scored from six balls; however, he collected two dismissals and a run-out, in Englands four-run defeat. His performances steadily improved, with 26, 29, 51 and 16 respectively, before scoring his maiden ODI century in the sixth match of the series at Trent Bridge . Paine was eventually dismissed for 111 from 148 balls, as Australia took a 6–0 series lead. After losing the final ODI in England, Australia won the 2009 ICC Champions Trophy in South Africa. In their second group match against India, Paine scored his second half-century (56). However, he struggled for consistency in Australias remaining matches and finished with 123 runs at an average of 24.60. Touring India for a seven match ODI series in late October and early November, Paine broke his finger while attempting to catch a ball in Indias innings of the second ODI in Nagpur. He was subsequently sent home and replaced by Graham Manou after the match. Paine is an orthodox, "traditional" right-handed batsman who usually plays with a straight bat. He usually opens the batting in one-day matches for Australia and Tasmania, and bats in the traditional wicket-keepers spot of six or seven in first-class and Test cricket. Paine is also slightly wristy, preferring to bat from the crease against spin, though his still has the ability to play a wide range of shots against all forms of bowling. Paine proved his big-hitting and fast-scoring ability in the 2009–10 Australian domestic T20 tournament, where he had the second-highest scoring rate out of any player to score more than 42 runs. He, himself, admitted attempting to change his batting style to something similar to Gilchrist and Haddin before his international debut. However, he has since changed this back to his more natural, patient game.